Material:Cotton Blend,Soft And Comfortable To Wear. 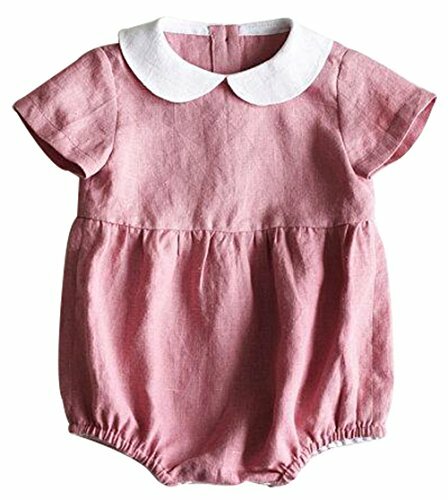 Feature:Short Sleeve,Turn Down Collar,Doll Pattern, Button Down On The Back,One Piece Romper. Lovely And Fashionable,Comfortable Fabric Is Very Suitable For Your Baby. Perfect For Playing Outside, Birthday Party, Baby Photography,Family Day Or Any Occasions. Package Include:1*Baby Girls Short Sleeve Cute Doll Ruffle Bodysuit Romper.